Think about a hobby you have. Any hobby. Do you play a musical instrument? Have you ever played sports? Are you a closet writer? A knitter? Now, think about how you first started out on that hobby. The first notes you ever played on your instrument: how did they sound? What happened the first time you went out on the cricket pitch or held a baseball bat? How was the first story you ever wrote? What did the first hat you ever knitted look like? If you’re a normal human being, chances are, you were not born good at everything. Granted, some people have what is dubbed “natural talent” for certain things – and some people are even lucky enough to determine what their natural talent actually is – but most of the time, the way to really excel at something is to first go out and mess up at it as much as possible. This approach may seem counter-intuitive. After all, if you are looking to improve your skills at something, shouldn’t you strive to not mess up as much as possible? Shouldn’t you be finding the right way to do something, and then doing only that? 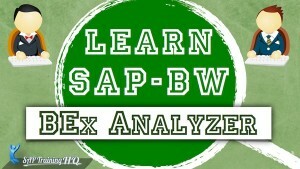 Mistakes cost time and money, and now we want you to go around making them deliberately? In a word, yes. The way to learn something inside and out is to see how badly and how often you can make it go wrong, and how you can fix it when it does go wrong. If you aren’t making mistakes, you aren’t growing. Put another way, deep understanding doesn’t come if everything is always going right. 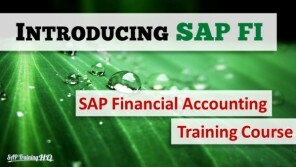 SAP professionals don’t get hired by companies whose systems are operating flawlessly already. Furthermore, if every system did operate flawlessly, we would have nothing left for our whole industry except to dust off our hands, polish our resumes, and opt for a quick career change. Companies don’t want IT people who can only tell them what to do when their system is working perfectly; they want professionals who can troubleshoot and fix it when everything goes haywire. That’s all well and good, you might say, but if I make a mistake on the job, I’m toast! So where am I supposed to go to make these big, honking mistakes that are supposed to help me learn? 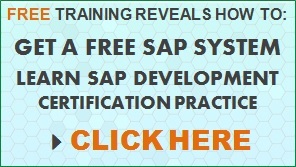 Well, if you’re working with SAP, chances are you do not have your own SAP system sitting around somewhere that you can practice on. 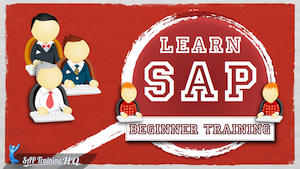 However, in your never-ending quest to update and grow your skills, are you able to enroll in any programs that would give you hands-on experience? Classes are often one of the best ways to get permission to learn and make mistakes – after all, you’re a student, and mistakes are expected. Does your company have a testing or development platform you can use for your experiments? That is another way to have permission to make mistakes – after all, what else is a testing platform for? In any area, whenever you have an opportunity where it won’t cost your company time or money, it’s a good idea to try to make things go wrong first; learn the symptoms, just like a medical student learns what goes wrong in the human body to make it behave a certain way. Figure out how to form a diagnosis, then figure out how to treat your patient – in this case, a computer system or other piece of technology. Set up regular practice sessions, just like you would if you were working on any other skill. What, exactly, should you be practicing? Well, what are the components of your job? You probably have a number of programs you use on a regular basis, but each of those programs probably has functions and parts to it that you rarely, if ever, get utilized. What if you started by picking one new function a day to use and familiarize yourself with it, even if it’s not a regular part of your workday? Even if you aren’t using it, chances are, someone in your company is, and if that’s the case, it’s going to go wrong some day. Shouldn’t you be familiar with it in case that happens? You may spend a great deal of your time on the back end of SAP, tweaking things and customizing them, but do you understand what some of the functions actually do in the logistics module? 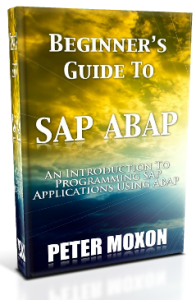 Why not open up the help documentation, read through it, and then check out what others in the SAP community have to say about what can go wrong with some of these processes? 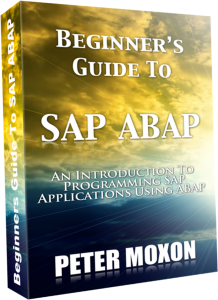 If you use ABAP on a regular basis, check out what kinds of programs are available online for you to peruse. Familiarize yourself with the code it takes to implement certain features. 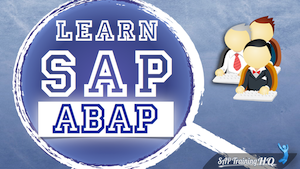 For example, check out ALV reporting using ABAP Objects, chances are that once you have taken the time to learn the specific coding techniques involved, you will be able to recognize the detailed method calls and parameters if you ever have implement or amend existing ABAP code. For an additional challenge, you may even want to try timing yourself. 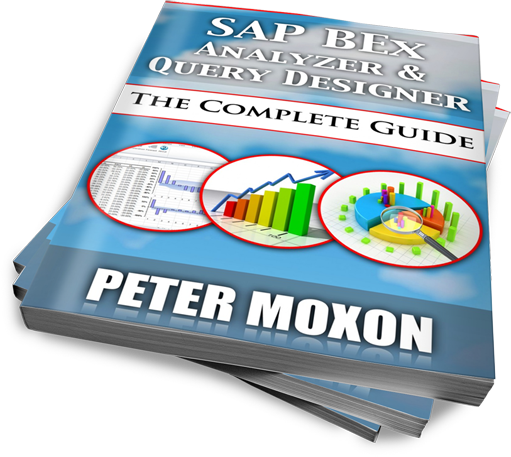 Pick a feature you want to implement, a customization option in SAP you want to utilize, or a process your company may want to use in the future that tracks to a particular SAP function – how long does it take you to learn that feature, use it, and tweak it to certain specifications? Can you find any shortcuts? Try to beat your best time after doing it a few times. You would be surprised what your mind can discover when you put other variables in place, like time constraints. Whatever you do, make sure that you are practicing on your chosen platform on a daily basis and growing your skills each day.